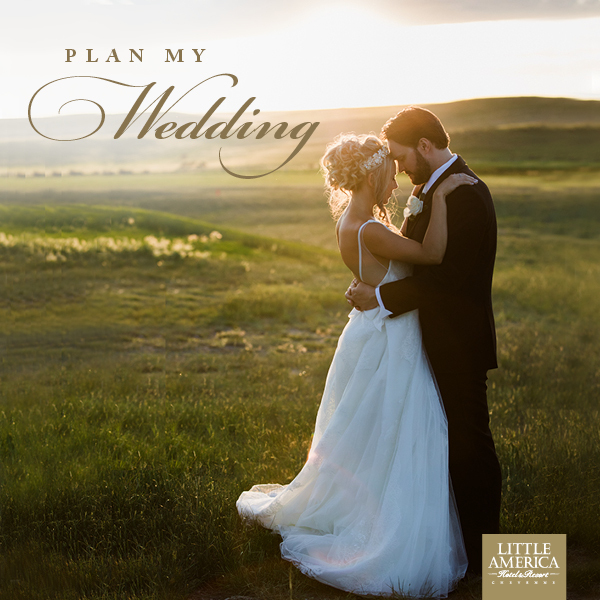 Bride and groom, Torrie and Ryan, were both born and raised in a small Montana town on ranches. Each with a passion for big city life. They met in the best of ways, at a wedding right here in Montana. At the time, Ryan was living in Southern California for work and Torrie had just moved to Denver. But, it didn't take long for Ryan to make the move from San Diego to Denver to join Torrie. Their love for whiskey tasting, adventuring and exploring their new home of Denver really drew them closer together. Once Ryan proposed there was no doubt in their minds that they wanted to exchange vows in Montana and make it a destination weekend for everyone who came. They selected their venue in Red Lodge, MT where they had their first date together and specifically chose Rock Creek Resort because of the stunning Beartooth Mountain views and because the resort offered the chance for everyone to enjoy a mountain getaway for the weekend. In typical Rocky Mountain fashion, just as their 300 guests were finding their seats the skies opened up and a summer rain and hail storm caused everyone to run for shelter. Thankfully, the skies opened up and the chairs were dried off for the ceremony to begin only 30 minutes behind schedule. The clouds from the storm made the skies even prettier and everything just seemed so much greener once the rain had fallen. The rings were safely delivered to the bride and groom by the cutest set of twins who were given the task of ring security (official badges and all). The bride and groom said "I do" under an arbor made by the bride's father. After the ceremony guests moved to Rock Creek Resort's pond-side lawn for cocktails and later down to the ballroom where they were able to mingle on the creekside patio lounge. Guests had fun taking photos in the custom Instax Photo Booth while enjoying the sounds and smells of being directly next to the fast-moving Rock Creek. The ballroom was decked out in mountain chic decor, romantically lit with overhead bistro lighting and enchanted garden wreaths with real candlelights flickering overhead the guest tables. The extra large wood head table was styled and set for the VIPs with a magical backdrop that drew guests eyes to the center focal of the room. Torrie and Ryan's wedding was an event designer's dream come true and the photographers Jessica (Lovelight Photography) and Ashlie (Ashlie Tate Photography) captured it all so beautifully.